Nobody wants to read long, legal privacy policies, but everyone should know how data is collected and used on sites they visit. 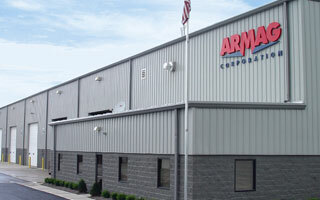 Below is a simple, plain English explanation of the data collected and used by ArmagCorp.com. Select a topic for details. So we can reply to your questions or requests. This data is collected from the information you submit to us through a contact form, an email or phone call. It usually includes an email address, phone number, and details about your question, but could also include additional information we ask you to provide. Submissions through a contact form are stored in a secured database managed by our web management firm and web hosting service. Information from any form of contact may also be stored in our internal customer service software. Is it shared with anyone? We don’t sell or share this data with anyone unless we are required by law to disclose information we’ve collected. No, this data is necessary to respond to the questions you ask us. You can request that your account information be deleted if you do not wish to use our services any longer. We collect data about how visitors use our site to show us what we can change to make the site easier to use. This data can also tell us how well (or not well) our advertising is doing. Data about pages, like which pages were viewed, for how long, and links clicked. Data about the type of devices used, like mobile phones or desktop computers. Data about the links that bring visits to our site, like from search engines or ads on other sites. Data about visitors’ locations, like cities and states. This data is not personally identifiable. For example, the data tells us how many visitors we had from Lexington, Kentucky, but not who they were. This data is collected using Google Analytics. Some data is stored as a cookie in the browser, but all data is sent to Google where it is stored by Google in our account. This data is shared with Google because Google Analytics is a service of Google. Other than that, we don’t sell or share this data with anyone unless we are required by law to disclose information we’ve collected. Yes! Google has created a Google Analytics Opt-Out Browser Add-On. There are also similar browser add-ons/extensions by 3rd parties, so you can find one that suits you best. Data is collected so that we can see if the ads we are paying for are working or not. Ad service providers (like Google and Bing) also use the data to show you information you may be more interested in. Data like what ad was clicked, when it was clicked, and where the ad was shown (website, search engine, video, etc). The data is collected using services by Google (Ad Words) and Microsoft (Bing Ads). Some data is stored as a cookie in the browser, but all data is stored by Google or Microsoft in our accounts. This data is shared with Google or Microsoft because our ads run through their services. Other than that, we don’t sell or share this data with anyone unless we are required by law to disclose information we’ve collected. Partly. There are tools for blocking ad personalization. That’s when Google or Bing remember what you’ve clicked so they can show you ads you may be more interested in. You can change the settings in your Google or Microsoft accounts to prevent this. Google also provides a browser plugin to block personalization tracking. To not be tracked at all, simply don’t click an ad. Your personal information can be updated by logging into your account and going to your profile page. If you need to update information that you do not have access to, please contact us, we’d be glad to help. If you would like a to receive copy of your personally identifiable information from our records, please contact us with your request. After verifying your identity, we will begin the process of collecting and delivering the information to you. It may take up to 30 days to fulfill your request. If you would like your personal information deleted from our records, please contact us with your request. After verifying your identity, we will begin the process of deletion. It may take up to 30 days to fulfill your request. Please note that after your information is deleted, we will be unable to provide support on any past transactions. Please note that from time-to-time our privacy police and data collection practices are subject to change.